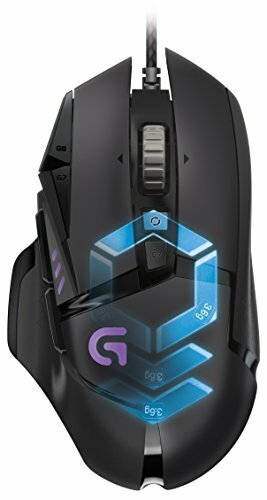 I’ve been gaming on an Alienware M14X R2 with a GT650M for 4 years now. It was a purchase from a time in which I was much less knowledgable about PC hardware, and not the smartest buy when I look at it now. That’s all in the past however, and in the middle of last year, the time had come that I build something a lot more powerful myself. I wanted to do something special for my personal build. A normal ATX tower is cool and all but I wanted something unique, or at the very least somewhat different. At first I was looking into Micro-ATX cube-cases like the Corsair Air 240. Later on I also began looking into some Mini-ITX cases. Eventually I decided I wanted to go with a Mini-ITX build, and I immediately fell in love with the Fractal Design Node 304. At first I started planning for a normal build on air, but later on I started to get a bit worried about temperatures, since I was definitely planning on overclocking. For example, I was planning on going with a blower-style cooler to keep heat out of the case, but the reference blower-cooler has trouble with throttling and I assumed that, by extension, any blower-cooler design would have the same problem. So I started looking into watercooling. After a while I stumbled on this and this build, proving to me that it definitely could be done. And so my quest began. Planning out every tiny detail is enormously important when you’re trying to build in a smaller chassis, and it becomes even more important when you go ahead and throw watercooling into the mix. Most of the time I put into this build was probably spend planning everything out, followed by the time I spent benchmarking. The actual building, while still taking a good portion of my time, only takes a far third place. I will quickly go over my choices of PC hardware before getting into a detailed overview of my planning process and choice of watercooling parts. I needed something that would drive the latest games on my monitor, so with a resolution of 3440x1440. Since no-one benchmarks at that resolution, it’s a bit tricky to take a decision based on existing reviews. To have an approximation of how different GPUs would perform at 3440x1440 I made a humongous Excel-file that can be found here, if you’re interested. I collected benchmark data from a multitude of benchmarking sources (including AnandTech, TomsHardware, TechPowerUP, …) and put them in the Excel file. Following that, I made both linear and logarithmic approximations of how the FPS scales throughout resolutions. All that was left after that was to enter an x-value (3440x1440 or 4.953.600 pixels) and evaluate the y-value (FPS). This is all neatly done in the Excel-file by a little input field and a bunch of graphs. For the 1080 at 3440x1440 you get the graph that can be found in the pictures above, which displays a bunch of games and their FPS. From the graph it’s very clear that a 1080 is definitely needed for a lot of games at 3440x1440. It even falls short some times, but since the 1080 was the most powerfull card at the time of the build and I didn’t want to deal with SLI (besides the fact that it isn’t even possible in a Mini-ITX build) I just went with the 1080. Why I specifically went with the Gigabyte GTX 1080 Windforce OC will be explained later. I first wanted to go with just a 6600K since that should be enough for most games, but eventually went with a 6700K since some more recent games can be very CPU intensive (GTA V is a prime example) and I also plan on possibly doing some more CPU intensive tasks like video editing/rendering in the future. RAM is very basic. Basic 16 GB amount, basic 3000 MHz speed (decently fast, but nothing crazy). Got it during an Amazon sale. has a better VRM design and has some really neat overclocking features build in, which is important since I definitely wanted to overclock. All-in all, while the Maximus VIII Impact has it’s disadvantages, it seemed like the best board for my build. For storage I went with a standard HDD + Sata SSD combo. No fancy PCIe SSD yet, that’s something for future upgrades. 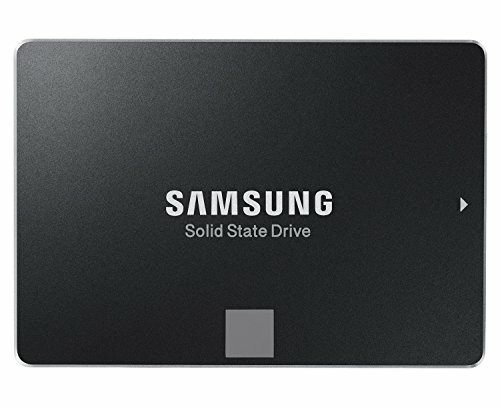 For the SSD I chose the 850 Evo, still one of the best performing value drives. For the HDD I had to go with a 2.5” model, since fitting a 3.5” model into an already cramped build would’ve been really difficult. 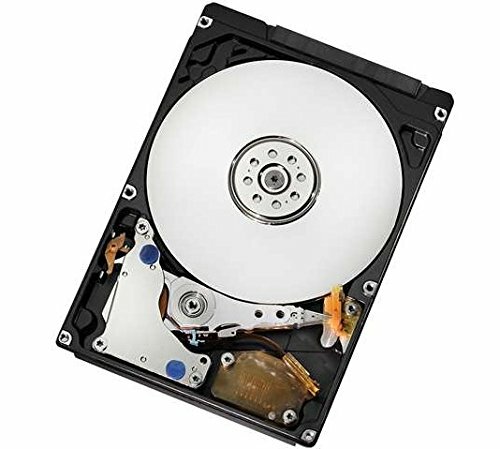 The HGST Travelstar 7K1000 was one of the cheapest 2.5” HDD’s I could find and according to tests, also one of the fastest. Again with size in mind, I decided to go with an SFX PSU to make sure there was enough place to install a pump and for cable management. 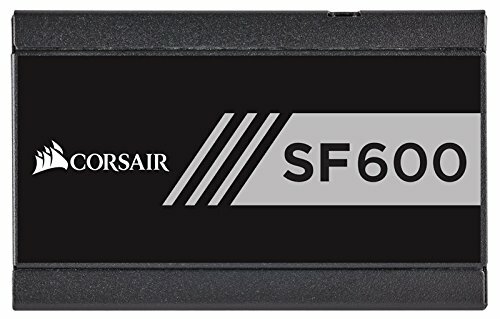 Corsair’s SF series are pretty much the best SFX power supplies on the market. I went with the 600W version because 450W would be cutting it close, especially when everything is overclocked. To make sure all of the components fit nicely, especially the watercooling components, I made a detailed model in Sketchup. This model went through multiple iterations as components changed, untill I finally ended up with the model that you can see in the renders above. I modeled the case based on my own measurements. For a lot of the components (e.g. the motherboard, fans, some radiators, …) I used 3D-models I found online, which I sometimes modified if needed. I modeled the remaining components myself based on measurents and pictures found online. I didn’t really know much about costum water cooling when I started planning for this build. To learn more, I read guide after guide after guide after guide, … Especially Extreme Rigs, ThermalBench, Martin’s Liquid Lab and SkinneeLabs offer a lot of information and reviews for water cooling and water cooling parts. After a while I considered myself informed enough and began to assemble a list of components I was going to need. For the CPU-block I was first planning to use an EK Supremacy Evo since it’s one of the best performing blocks according to tests. I eventually went with a monoblock for the Maximus VIII Impact to make sure that the VRM would also be adequately cooled. For the GPU I also used an EK block. 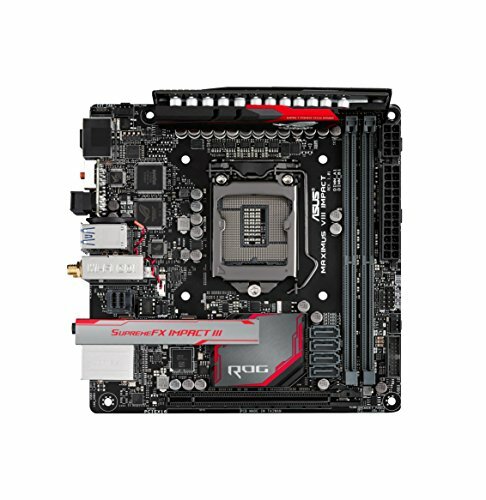 I find them really clean looking and they also perform among the best for both the chip itself and the memory modules and VRM withouth being too restrictive to the water flow. EK were also the only ones that had a block available for the Gigabyte GTX 1080 Windforce OC. Which brings me back why I chose this particular model of 1080. I was looking for a non-reference PCB so that I had a card with a power and VRM-design that would lend itself a little bit better to overclocking. But I also needed a card that was short enough so that it would fit in the case with a radiator in front of it. The Windforce OC was the only card (at the time) that filled these criteria while also having a waterblock available. I managed to fit a dual 92mm radiator in the front and a single 120mm radiator in the back of the case. To decide which radiators to use, I created an Excel file very similar to the GPU Benchmark Database that I described above. It contains data for a good amount of radiators (mainly obtained from Extreme Rigs). In the beginning I had set my mind on the Black Ice Nemesis M184 GTX. Later on I discovered that there is also a dual 92mm version of the Alphacool NexXxos XT45 which is slightly thinner. It performs a little bit worse than the Black Ice, but this is easily offset by the fact that it allows me to use standard 25mm fans, instead of the 14mm fans I would’ve had to use so that everything would fit. These thicker fans perform better (and quieter) than their 14mm counterparts. For the back radiator I first planned to use the Black Ice Nemesis 120GTS, but I changed my mind based on the database. I eventually went for the EK-Coolstream PE 120. It performs similarly to the Black Ice but with much lower restriction to the flow. It is a little bit thicker, but still fits comfortably in the case. For the front fans I used two Noctua NF-A9’s. 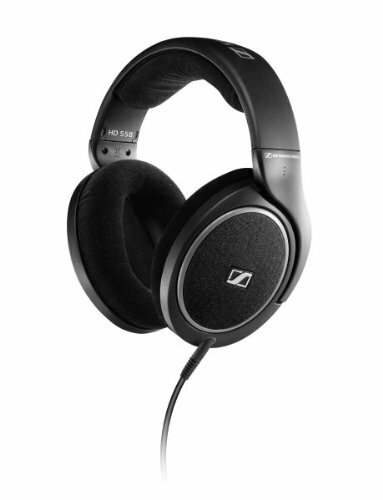 There aren’t really any reviews available for 92 mm fans so I just went with a brand that I knew was reliable (and quiet). 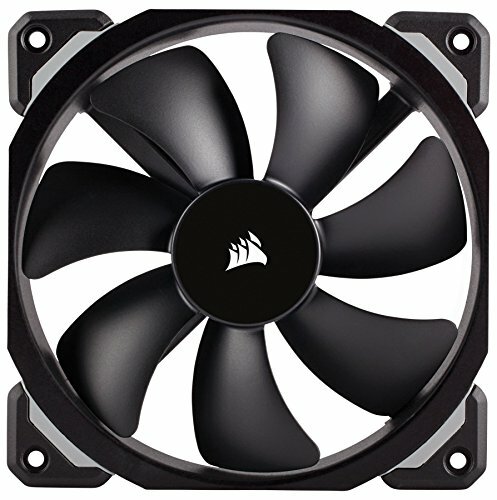 For the back fan I used a Corsair ML120 Pro. It had just come out at the time and had some very good reviews. I made an Excel-file (again) to calculate what the flow rate through the loop would be for different pumps (and pump tops). Based on that I was fairly certain I wanted to go for a DDC 3.2 pump: powerfull enough for my build, but still small enough to fit in it. I also decided I definitely wanted a PWM-controlled pump so I could easily adjust the speed of the pump. I quickly set my mind on the EK-XRES 100 DDC MX 3.2 PWM, which is a reservoir+pump top combo. It performs pretty well according to tests and has a nice small footprint so it fits in my case. I briefly pondered about the XSPC Acrylic Reservoir for Laing DDC and the Watercool DDC-Tank LT. The XSPC Reservoir performs slightly better than the EK but I eventually found out it didn’t fit into the case. The Watercool Tank is nice and tiny, which is great for a mini-ITX build, but I eventually decided against it because it has less inlet and outlet options than the EK-XRES and the small size might also prove a little troublesome while trying to bleed out the air bubbles. At first a was a bit worried that, since I had to use one of the side inlets (there is no clearance to use the top inlet), that performance might be impacted as was evident in this test. I even briefly thought about building my own reservoir to cicrumvent this issue. However, since the side inlet feeds into the reservoir first, which then feeds into the top of the pump, there shouldn’t be a problem. Last but not least, I decided to go with the slightly more expensive Elite version which features a heatsink, since a DDC 3.2 can get pretty hot withouth one. For the tubing I used Primochill PrimoFlex Advanced LRT 10/13 mm. 10/13 mm is a little on the small side, but since tubing size doesn’t have a huge impact on the flow rate, it’s better to go for a smaller tube size so it doesn’t take up too much space in an already cramped build. I went with white tubing since I think it’s a nice accent color. Even though you can’t look inisde the case for now, I’m planning on potentially adding a small window in the future. For fittings I just went with EK fittings since I was already ordering a bunch of EK parts anyway. I used a 90° elbow at the second side inlet of the pump to act as a draining point and also used a Y-splitter right before the front radiator to act as a second draining point. A T-splitter with an XSPC temperature probe right before the graphics card block is used to measure the water temperature and a second temperature probe (supplied with the motherboard) is placed right before the front fans to measure the temperature of the incoming air. I was planning on just using some distilled water with a silver coil as coolant. But I eventually went with Mayhems X1 Clear for 2 reasons: distilled water doesn’t seem to be as readily available here in Belgium and I got a little worried about possible corrosion. Normally speaking corrosion shouldn’t be a worry in my build since I’m only mixing nickel, brass and copper. However, EK has had some problems with it’s nickel plating in the past (which should be fixed now, but still), and I didn’t want to take any risks. Mayhems seemed to be a popular and reliable brand when it comes to coolant, so I went their X1 series, which has all the protections against corrosion and algae you want. I didn’t use any colored coolant as to avoid any problems with coloring additives. The only thing that is transparent in the whole loop is the reservoir anyway, and that’s a part of the build that I wouldn’t want to show with a window. I first assembled the build cooling everything on air to test if all the components worked correctly and to perform some base benchmarking tests for future comparison. I used the stock cooler for the GPU, the stock Intel cooler for the CPU and the fans supplied with the case set to high (12V) with the case’s fan controller. I didn’t really cable manage anything very well since I had to take it apart again fairly quickly anyway. I had some pictures of my building process, but these unfortunately got lost somewhere along the way. I did this 2 times for each radiator. To my suprise, the insides of the radiators (or any of the components for that matter) weren’t really dirty at all, as opposed to what a lot of the guides described. Following the cleaning of the components I took apart the build on air. Nothing to difficult there, but I was very thankfull that I hadn’t cable managed it, since that would’ve made disassembly a lot more difficult. After all that, I could finally begin building. I started with installing the motherboard monoblock. I removed the Intel stock cooler (I actually had some trouble turning the tabs 90° because there was a lot of stuff in the way, but eventually it worked out) and removed the thermal paste with some Artic Silver ArctiClean. I removed the stock heatsink for the VRM module, which was easy enough, and also removed the RAM sticks since they were a bit in the way. I apllied the EK supplied thermal pads to the VRM, put thermal paste on the CPU (I used Thermal Kryonaut for both the CPU and GPU, one of the best (non-liquid metal) thermal pastes according to this test) and installed the monoblock. I had some trouble aligning all the screw holes, which wasn’t made easier by the fact that I had to hold the monoblock in place and screw everything in at the same time only using my two hands. Eventually I got everything aligned though, and the monoblock was nicely in place. I then installed the motherboard into the case, which was easy enough. I also installed the PSU using the SFX-ATX bracket. Then came the rigorous task of cable managing. I routed all the front panel cables (USB, audio, …) to the motherboard and plugged them all in. I managed to tuck most of them away between the power supply and the motherboard. I also plugged in all the PSU cables I was going to need (SATA, Molex, 24-pin, CPU 8-Pin and PCIe 8-Pin) and routed them to the right places. I DID NOT plug them into the components yet, however, since the loop would have to be tested later on withouth powering any of the components. I used the honeycomb intake-pattern that was left in front of the PSU to tie the cables down and to tuck them away. I spend quite a bit of time making sure I used the space as efficiently as possible (which was VERY important in this build), but when I was finally done I was quite happy about the results. During this time I also installed the front fans + radiator and routed the fan cables to the right spot using the holes in the SFX-ATX bracket. Installing the GPU waterblock was probably the one thing I was somewhat fearfull off, to be totally honest. I had never done it before and was really afraid I might break something. I followed EK’s instructions to remove the cooler and backplate, which went well, as went removing the thermal pads. To remove the thermal compound I used coffee filters and Artic Silver ArctiClean. I was very careful during the process as to not break anything. After that it was simply a matter of putting on thermal paste and pads, installing the block and backplate and screwing it down. All in all the whole process went smoother and was easier than expected, which was a whole relief for me. When all that was done I installed the GPU into the case, which took some twisting and turning. Then I installed the back fan+radiator. It’s very important to install the back radiator AFTER you install the GPU, since it’s basically impossible to do it the other way around. The last component that had to be installed before the tubing runs was the pump. I attached the neccesarry fittings and elbows and cut down the feet of the pump a little so that it would fit in the case. Then I glued the pump to the top of the PSU with some heavy duty glue. Now came the time to run the tubing. I cut down the tubing to approximately the right length, cutting it a little long rather than short. I attached one side to a fitting, cut some extra tubing off if necessary and attached the other side to the other fitting. To easily slide the tubing over the fittings, I heated the ends up a little with hot water. When everything was tightly attached, I screwed on the rings of the fittings to hold the tubing in place, using pliers where my fingers didn’t really fit. I kept most runs as short as possible to safe space, but I left some slack on the tubing between the two radiators so I can easily turn the Y-splitter for when I want to drain the loop later on. After all this was installed, it was time for the moment of truth: leak-testing the loop. I connected the pump to a molex connector for power and connected the PWM connector to SATA via an adapter. I also bridged the 24-pin connector with a plug so that I didn’t have to power any components besides the pump. I basically filled the whole case with paper towels so that if there were to be a leak it would hopefully be contained by the towels. To fill the loop I filled the reservoir about 2/3 of the way and turned on the power supply untill most of the water was pumped away, but making absolutely sure the pump never ran dry. Then I filled the pump about 2/3 again and repeated the process untill the whole loop was filled. I leak-tested the loop for about 20 hours, during which I encountered no problems at all. Bleeding went pretty quick too, considering the fairly small reservoir. The final parts I needed to install where the 2 drives and the fan controller that came with the motherboard. I screwed them all into a simple bracket for 2.5” and 3.5” drives that I found online. I then attached the bracket to the bar that goes into top middle of the case and normally supports the back part of the drive cages. I plugged in the last cables, did some more cable management, and it was finally done. The only thing left was pressing the power button and hope for it to turn on, which it did! Hooray! I did some minor overclocking on the RAM, CPU and GPU. For the RAM I simply enabled the XMP profile, which sets it to 3000 MHz. For the CPU I only overclocked the Core, since I didn’t really want to put any time in Uncore overclocking. I started at 1.3V and 4.5 GHz and pushed it further in increments, upping the voltage when needed. I tested stability using some heavy games, synthetic benchmarks and AIDA 64. I was able to push it to 4.7 GHz at 1.34V, but temperatures were getting a little high under the stress test so I dialed it back to 4.6 GHz at 1.32V, which I am more than happy with. For the GPU is used EVGA Precision X. I maxed out the voltage, power and temperature limits and started with setting the GPU Clock to about +100 MHz, which comes down to about 2036 MHz total. I then increased the clock in increments of 25 Mhz, all the while testing stability with games and synthetic benchmarks. At +200 Mhz (2125 GHz), there were some very minor glitches in The Witcher III and the Time Spy benchmark, so I dialed it back to +175 Mhz (2101 MHz), which was perfectly stable. After I overlocked the GPU Clock I also overclocked the Memory Clock. I was able to reach +500 MHz (11 GHz total) withouth any problems. The HOTS and Bioshock benchmarks show some weird behaviour, not adhering to the trend that can be seen in the other benchmarks. The anomolies in the HOTS benchmarks could be explained by some graphical updates that were made to the game, but I’m not exactly sure what causes the Bioshock benchmark to benefit so much from the watercooling and the overclocking. HOTS and Bioshock excluded, all the benchmarks show a similar trend. There is some very minor improvement (1% average) because of the watercooling, which keeps the clocks a little bit more stable (see later). Overclocking gives an average improvement of 11%. One thing that has to be noted is the fact that the CPU scores for both the 3DMark benchmarks went down a little for stock watercooling compared to stock air cooling. Since there were no problems with throthling, I’m not exactly sure what caused this. I ran an AIDA 64 stress test (CPU and GPU combined) for half an hour for all three configurations. In the air cooled setup, the stock fans were used, set to high (12V). This comes down to 1300 RPM for the 2 92mm fans and 1000 RPM for the 120mm fan. The CPU fan was plugged into the CPU fan connector and used the standard profile that was set in the BIOS. It almost reached a whopping 2300 RPM, which was clearly audible. The GPU fans also used their stock fan profile and went up to about 1900 RPM. The CPU temperature maxed out at 80°C, while the GPU maxed out at 66°C. Not bad for such a small build, but that doesn’t leave much room for overclocking and it did require very high fan speeds. Also, while the CPU clocks and GPU Memory Clock were stable, the GPU Clock quicly dropped down to 1885 MHz due to temperatures. With watercooling in place, everything got a lot better. Instead of the total 7 fans in the air-cooled build, the water-cooled build only has a total of 3 fans, spinning at a maximum of 1550 RPM. This is higher than the case fans in the air cooled build, but a lot lower than the CPU and GPU fans at the same time. For the two 92mm fans a costum fan profile based on the water temperature was used. For the 120mm fan a costum fan profile based on the CPU temperatur was used (I would’ve based this fan on the water temperature too if not for the fact that a fan connected to the CPU fan connector can only be controlled based on CPU temperatures, and there was no way to reconnect the fan elsewhere now everything was in place). Temperatures also got a lot better, with a maximum of 63°C for the CPU and a maximum of 51°C fort he GPU. Last but not least, the throttling observed in the air-cooled setup was no longer present due to the lower temperatures. And finally there’s the overclocked setup. Fan speeds went up a little bit compared to the non-overclocked build, with a maximum of about 1670 RPM (+120 RPM). GPU temperatures also went up a little bit to 55°C (+4°C). CPU temperatures, on the other hand, increased signficantly to a maximum of 85°C. The CPU temperatures also fluctuated a lot more compared to the other 2 setups. Clock speeds were again very stable, only the GPU Clock displayed a minor dip (from 2101 MHz to 2088 MHz) as soon as the GPU temperature reaches 52°C. All-in all I’m very happy with the end result. It’s not perfect, there are a few things I’d like to fix/replace during the first maintenace round. The front audio doesn’t seem properly connected for example, something I only noticed at the very end and can’t solve now the case is cramped full with parts. I can’t use Sleep mode either, since whenever the PC wakes out of sleep the pump spins at full RPM and can’t be controlled anymore. Luckily it’s not very bothersome to live with these problems, and I can easily wait untill I fix them in the future. In the end I have something that is (semi-)unique and something that I’m very proud of. And, perhaps most importantly, I can finally do some heavy gaming again. I'm calling it right now, this will be featured. however i hold no copyright to calling features and therefore you may feel free to do so yourself. I have no legal ownership of this responsibility. u took the time to 3d render that thing?! noice! well done! all the girls are gonna be like, "ewww. moist? that's the most disgusting word in the English language!" that makes me like it more! Hey, don't be. I bought the hardware 6 months ago. I knew a 1080Ti would be coming eventually, and too be totally honest I'm drooling all over that card, but you can't wait forever. oh 6 month! damn! looks great! wow! Wait... YOU HAD MORE CHOCOLATE? Thanks! 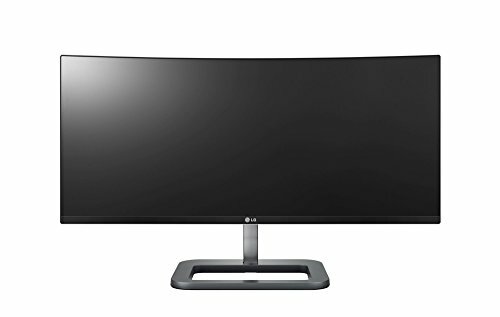 To be fair the monitor itself is very big, so it makes the case seem that much smaller. Those are some sweet renderings! Dig the Name. Dig the build. Nice. Thought I'd continue the alliteration trend in my build names and those 3 words were the first that sprung to mind. Worked out really well. Glad you like the build! Well I needed that third M for the name, and what better word to use than moist? Glad you like it. Excellent build, excellent log, excellent planing. By far... great graphs and evaluation of your machine! And by far, the best part, very well written description! All the data you collected for your FPS graphs came from correlating data across various websites correct? Once your rig was build and optimized, did you compare fps you were actually getting to what your excel spread sheet came up with? I'd be very interested to see how close your approximated data comes to actual numbers you are seeing in the various games. Again, bravo on the work up. These are by far my favorite build posts. Yes, all the data comes from a pletora of benchmarking websites. I actually didn't compare the approximations with the real-life results yet, didn't really think of it. I'll have to do that later today. Yeah I would very much like to see real world results compared to the approximations. You took a lot of time setting that up, and adding YOUR own benchmark data to those results will only improve the accuracy of your overall collected data. Very very VERY interested in comparison! I really dig your methodology! Went to go look at your excel file, but file size is over 5meg so the site won't let me view it (weird). Doesn't it give you the option to download it? Unfortunately not, just displays a message saying Sorry, we can't open your workbook in Excel Online because it exceeds the 5 MB file size limit. Bioshock Infinite approximations lie smack in the middle of the performance on air and on water withouth overclocks. Still not sure what caused the huge difference between these two benchmarks so there are not really the best results to compare. GTA V approximations seem a lot higher than the real life results. It has to be taken into account though that benchmark results from different websites differ greatly themselves. None of them are very transparent about the exact settings either. On top of that it doesn't help that GTA V has some "advanced" settings that can greatly impact performance. Once again, not the best results to compare. 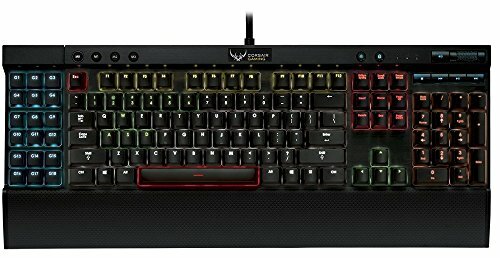 I tested The Witcher III and Total War Warhammer quickly and substracted 11% performance to take the overclock into account. For those two games it can be seen that the approximations slightly overestimate the FPS that is achieved in real life. I'm going to keep it at that for my conclusion: the approximations slightly overestimate the real life situations. More (and better) testing has to be done though to get conclusive results. If you're still interested in the Excel file btw, here's a dropbox link. 5% margin of error is amazing dude for a data base vs actual. Your excel file is a work of art, thank you for sharing it!! Once I actually get the time I'm planning on comparing your data with my own individual benchmarks. I'm in the process of finalizing a startup video, would it be ok if I use your data base to compare my own custom builds to results from your research? That sounds amazing, go for it! Just throw me a link when it's done, will you? I would love to see the results. If you have any questions about the excel file feel free to ask them, the file can be quite complicated at times. The name absolutely slaughtered me. I bought the hardware about 6 months ago. Kabby Lake wasn't out yet back then. The CPU + Mobo will probably be in there for a while, except if I give in and go for some 8-core processor (Ryzen or Intel if they bring it to the mainstream). I would still wait for at least a year for that though. ur build is high end will live couple years fine .. can i ask how old r u ? Updated the graphs to a higher resolution so they're bigger and clearer. Can i just ask what program you used to plan out the watercooling? The 3D-models? That's just Sketchup with the Twilight Render Extension for the actual rendering. Awesome, I have the node 304 and looking at upgrading from 970 to 1080. I found a small Zotac 1080 mini (https://www.newegg.com/Product/Product.aspx?Item=N82E16814500414&cm_re=zotac_1080_mini-_-14-500-414-_-Product) and just about ready to pull the trigger. Do you think the extra space that provides is worth it vs. a more traditional 1080? The node 304 is great, but it's a pretty unique setup on the inside, which has given me a bit of anxiety a few times. The extra space gives you some more freedom for the PSU and cable management. I'd say it's definitely worth it. Good luck! I really appreciate that you wrote pages on pages about your build, I like the outcome very much. In fact, you are one of the very few people i found in the entire internet, who managed to build a proper watercooled high end system in the node 304. I'm actually building a very similar system (8700k, GTX 1080, atx Psu, 184+140mm radiator, ddc 3.25 pump). How the heck did you fit the 184mm rad in there? Aren't the 92mm fan mounting holes in the front too far apart? Anyway, I test-assemblied the system and I get ridiculous high temps (>60° watertemp with all fans (2xBeQuiet shadow wings 2 92mm for the 184mm rad, shadow wings 3 140mm for the 140mm rad) on max rpm) on full system load. Even with 2 of the 6 cores disabled i get similar high temps. Just to be sure, you use the front fans as intake and the rear fan as exhaust? I'm sorry about the not perfect English, I'm from Germany. Thanks dude! I do use the front as intake and the rear fan as exhaust. The 92mm fan mounting holes do indeed not perfectly align with the radiator mounting holes, so I have just one side mounted, which is still pretty sturdy. About the temperatures, above 60ºC is very normal. With the i7-6700K I reached up to 85ºC (with both the CPU OC'ed to 4.6 GHz and the GPU OC'ed to 2100 MHz). With my new R7 1700 it's much better, with temps going up to 70ºC max (when OC'ed to 3.75 GHz). EDIT: Just a heads up, depending on the specific model of GPU and front rad you're using, it might not fit. I even think the 1080Ti Mini from Zotac is the only 1080Ti that would fit. EDIT 2: You're gonna have a very hard time fitting everything in with an ATX PSU. At that point you are going to need costum length cables and definitely a smaller pump+reservoir than me. EDIT 3: In fact, if you would like, I can help testfit some parts virtually, since I have a whole 3D-model drawn out anyway. Thanks a lot for the reply! I already finished my build (see my profile), but a virtual model would have helped a lot and saved me a lot of time and hassle. Thanks for the offer though. Maybe the silent wings fans i use were not a good choice. They dont move much air (especially the 92mm fans) and have low static pressure. 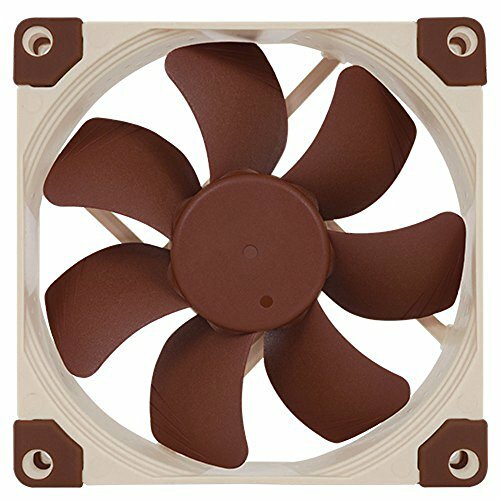 I just ordered a 140 Noctua PPC fan with 3000rpm max and 10mm H20 pressure and some high speed pwm 92mm fans for cheap, maybe they will perform better lol. Btw, i also was the guy that asked about the pump on the updated version of your build. I have a DDC 3.25 that actually is still pretty audible at 60% speed. I have the tendency to write pages on pages about this kind-off stuff since I'm so passionate about it. Some people like that, some people don't. Glad to hear you're one of the ones that like it. I appreciate the work put into it; after all, where else to allow your passion to thrive but here? the fact that you're genuinely passionate about it makes it all that much better.